With spring suddenly springing around us, the fields of crocus popping up and the sun showing itself from time to time, those of you who have hibernated from salsa, now is the time to come out to play. It is similar on the dance floor as many of the brand new beginners in January are now popping up on the social scene and are putting smiles on their teacher’s faces as the spin to the tunes from the DJ booths. If you are a seasoned dancer, remember what you felt like at your first socials - and then make sure new dancers are made as welcome as you were. I'm sure all your teachers have instilled the essence of welcome, so leaders ask the followers, followers ask the leaders and only say no if you are truly tired. Put a smile on a face this weekend and ask someone who you have never danced with. Personally I am always flattered and honoured when I'm asked for a dance. 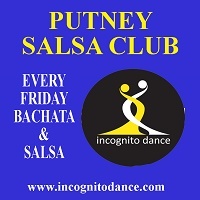 For Friday night, new to Tooting Bec, the salsa/bachata/kizomba SBK party featuring lessons, shows and DJs Hughie and the Chemist. New for Saturday is Reggaeton Central, the Urban Latin night at featuring masterclasses followed by social dancing till 3am. 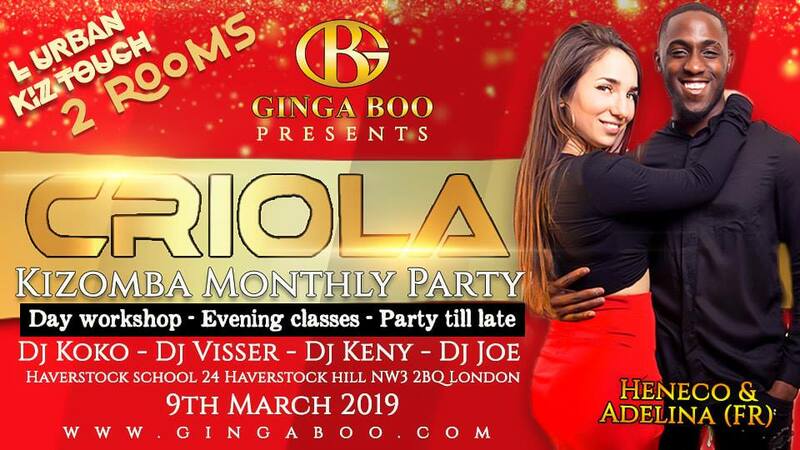 The Criola Kizomba monthly party in Chalk Farm features Heneco & - Remember to quote this site to get a 10% discount. A live salsa band is the attraction in Guildford where the Satiurday night starts with a salsa masterclass - £2 off when mentioning London Salsa. Deep Salsa for Intermediates is this Sunday's Intensive workshop at Bar Salsa, Charing Cross. You should claim a £5 discount from this workshop for dancers who are looking to energise their salsa through looking at things in a different way. It uses models and exercises that you will probably not be familiar with. Sunday also offers you an afternoon of social dance in Ilford - no shows, no lessons, just dancing. 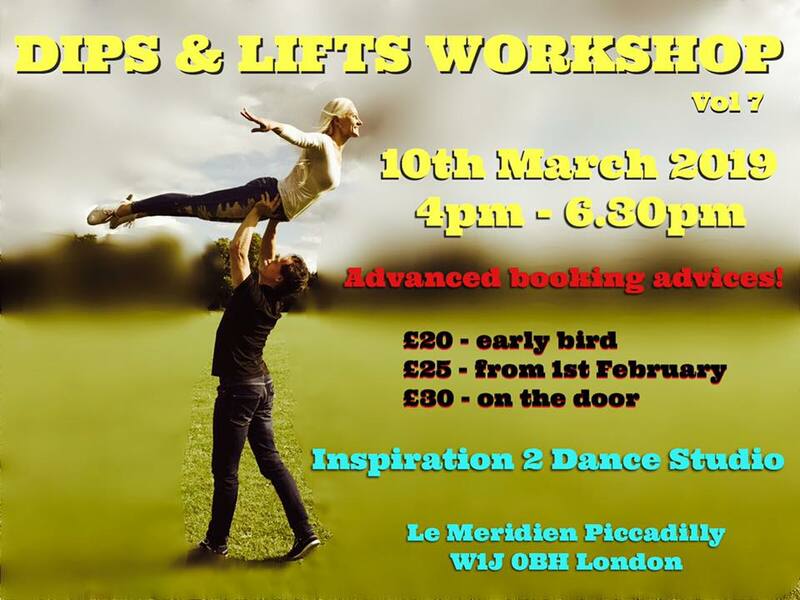 Or perhaps the dips and lifts workshop in Piccadilly with Jelena. Midweek lessons abound throughout the capital. Whatever your level, style or even genre of dance, you'll discover it on site. No way to list them all in the newsletter, so please just see a few we've picked out. 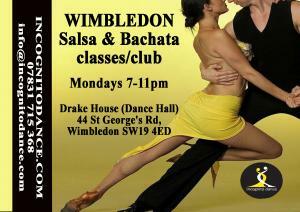 In Wimbledon on Monday, salsa and bachata lessons are available before the social. Wednesdays in Hammersmith is always well attended with fun and friendly hosts offering lessons at all levels before the social. 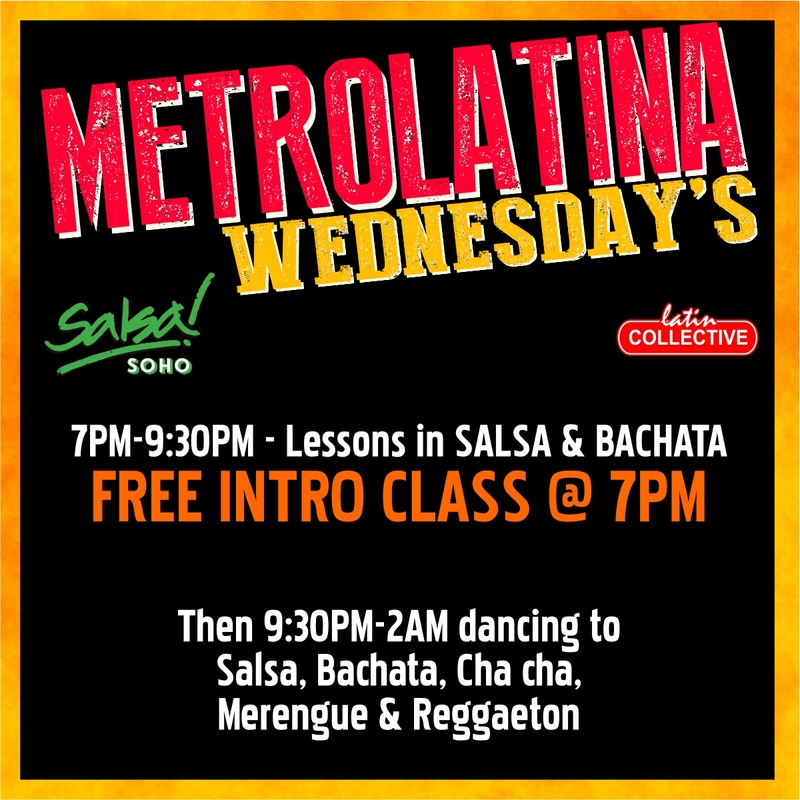 The 18th anniversary of Latin Collective at Bar Salsa in Soho is being celebrated this Wednesday, with all invited to partake in the festivities -- our congratulations go out to them. March is filled with activities for all levels. Whether you are looking to take your first salsa steps, on your salsa journey or already a guru, London Salsa aims to help you find what you seek. 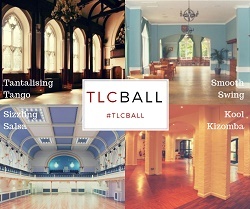 Last chance to get earlybird tickets for the TLC Salsa, Kizomba, Tango, Swing Ball on Saturday March 30th in Winchester. You can claim £10 off the Cuban Salsa Sensation Weekend at York House Hotel, Eastbourne on May 3-5th. If that isn't enough information, head back to the site!